We have reached the midpoint of the 2018-19 NCAA Division 1 hockey season. A few teams play this coming week, but the two teams I follow, Alaska & Minnesota, have reached their holiday break. Minnesota returns to Mariucci Arena at the end of December for a non conference series against Ferris State University, who Alaska recently swept. 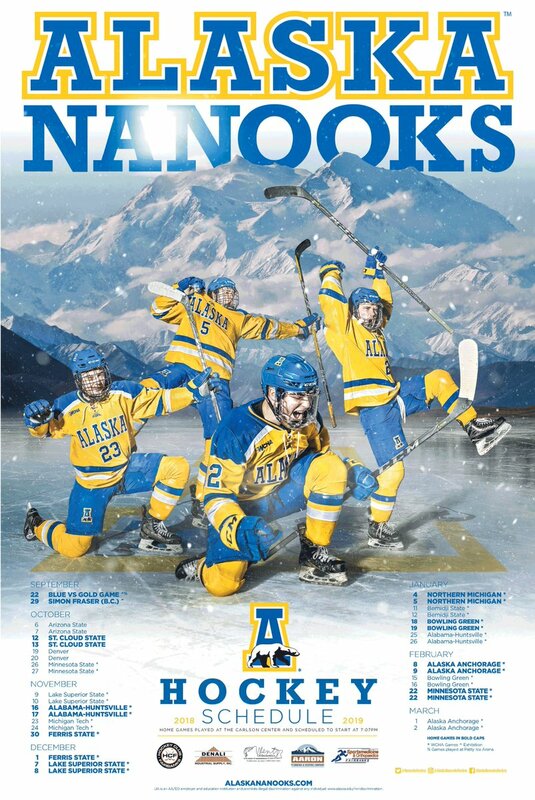 The Alaska Nanooks return to the big ice sheet of the Carlson Center next year on January 4th, with a two game series against Northern Michigan. This entry was posted on Monday, December 10th, 2018 at 7:07 AM	and tagged with Alaska, Fairbanks, hockey, Minnesota, photo and posted in sports. You can follow any responses to this entry through the RSS 2.0 feed.